As an ALPHA, you are intelligent, healthy, and obligated to love, cherish and covet the beloved cookie. The ability to appreciate its simplistic beauty is simply a necessity (to go along with your equally necessary love of steak and cake). Turn your attention to the following recipe. I will say, this is not MY recipe, per se. It comes to you courtesy of the lovely and talented Neghar Fonooni, which is an excellent cook and baker, despite having horrid taste in men. That said, this recipe proves once more that your taste buds are idiots; they will embrace a well-made cookie whether it’s made with white flour and refined sugar or if it’s made of almond flour and honey. My point being that your cookies don’t have to be dietary abominations to completely satisfy your sweet tooth. This recipe, like most of my recipes, is here to redefine your idea of what’s “healthy.”. My pro tip: Save a quarter of the recipe to eat as just the dough. Cookie dough is the steak of the dessert world. Everybody knows this to be true. And so I present, my very special almond butter cookies. 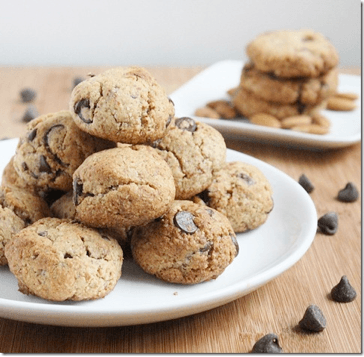 Got a favorite fat loss-friendly cookie recipe? Post it below!